Get cooking for teh House Targaryen or their dragons will burn you ! This Targaryen kitchen set is a good start. The apron and the kitchen mitt included are marked with the Targaryen seal. 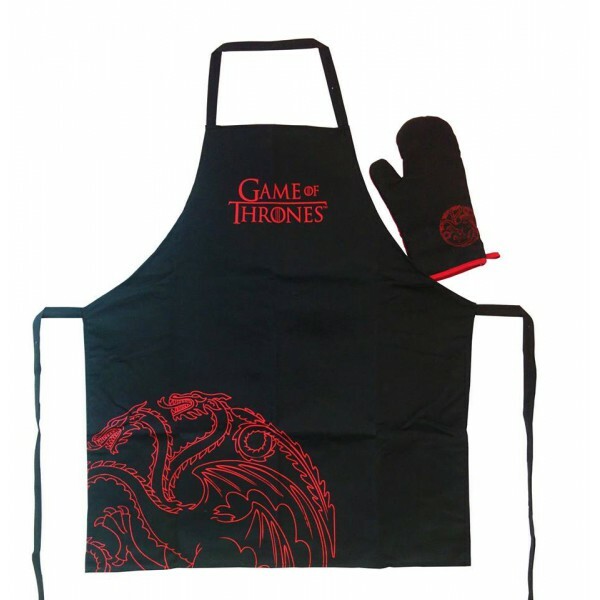 Votre Targaryen kitchen set : apron and oven mitt - Game Of Thrones est en stock !